Now that we’re in late fall, the common cold is running rampant. And every day – several times a day, in fact – I am hearing the same question over and over again. They want to know which over-the-counter cold and cough medicine I recommend. Some of them want me to call in a prescription for antibiotics, thinking that it might help them recover more quickly. The first thing I do is remind the patients asking for antibiotics that these drugs are only for bacterial infections. They do nothing to stop or cure viral infections like a cold or flu. And as far as OTC cold remedies are concerned, they don’t speed up the healing process either. They just mask the symptoms. Plus, some of the ingredients found in them are pretty bad for you. 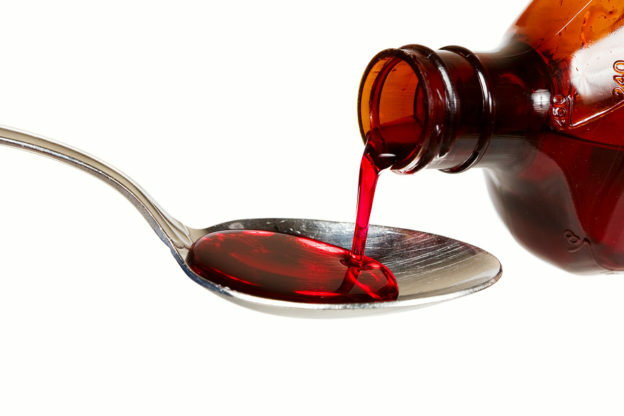 A lot of cold and cough meds contain compounds that make your heart race. They can cause dangerously high blood pressure and trouble breathing. The great majority also contain acetaminophen, which is a top cause of liver failure here in the U.S. And it doesn’t take much of this pain reliever to cause damage. So let’s say you’re taking regular doses of acetaminophen-containing Nyquil or Theraflu throughout the day, along with a couple of Tylenol capsules every few hours. This would mean you’re taking several thousand milligrams of acetaminophen each day! And it could easily land you in the emergency room with acetaminophen poisoning and liver damage. A cold can linger for as little as a few days to two weeks or more. And I’ll be the first to admit … more than a few days with a stuffy and runny nose, scratchy throat and hacking cough can be pretty miserable. All of these symptoms are triggered by your body’s own immune response. They are your body’s way of fighting off the virus. Well I’ll share a little secret with you. Somewhere around two-thirds of your immune system is located in your gut. And as a reader of Advanced Natural Wellness, you probably already know that when the ratio of unhealthy microbes outweighs the good ones, it reduces your immune function. So it won’t surprise you to learn that restoring and maintaining healthy gut bacteria by taking a daily probiotic can somewhat lower your risk of catching a cold. And if you’ve been taking a probiotic regularly for at least 12 weeks before catching a cold, it can shave two days off the duration of your cold. It can also lessen the severity by about 34% and probably save you a few days of sick leave at work, too. bifidobacteria and other strains of healthy bacteria. The higher the colony count, and the more live strains involved, the better off you’ll be. Just make sure to take it daily with food. I also recommend eating more probiotic foods, such as Kombucha, kimchi, miso, natto, kefir, tempeh and sauerkraut. In the event you do catch a cold, you really don’t want to suppress the symptoms your immune response is throwing off. They’re protective. All of that snot and mucus are carrying waste products out of your body. And suppressing them could actually make the infection last longer. Instead, you want to release them and help move them along more quickly. Here are a few ways to do that. Steamy showers. You can break up mucus, eliminate it faster and reduce coughing by taking steamy, 15 minute showers. And I’ve got a great trick for top-notch results. Simply place a small container with a few drops of eucalyptus or menthol oil in an area where the shower spray won’t wash it away. As the steam releases the vapors, it will do even more to clear out your throat and sinuses. Nasal flush and infusion. Another way to break up nasal congestion is by flushing your nasal passages with a probiotic sinus rinse. This will infuse your nostrils with healthy bacteria and help displace those that aren’t so healthy. Just mix a regular probiotic capsule with 8 ounces of saline solution. Then, use a neti pot or rubber ear bulb to gently flush each nostril with the formula before bedtime each night. Fluids, fluids and more fluids. Drinking plenty of water is important too. Better yet, opt for hot tea… or perhaps warm water with some added ginger, honey and lemon. The steam aids in breaking up mucus and contain multiple anti-inflammatory compounds that can help control coughing. My Grandma’s secret weapon. Don’t forget the benefits of good, old-fashioned chicken soup. The ingredients actually reduce the inflammatory process that triggers the release of mucus. When making your soup, use the same hearty ingredients my grandma did… plenty of organic chicken, onions, sweet potatoes, turnips, carrots, celery, parsnips and other veggies for maximum power. Kang E-J, et al. The Effect of Probiotics on Prevention of Common Cold: A Meta-Analysis of Randomized Controlled Trial Studies. Korean J Fam Med. 2013 Jan; 34(1): 2–10. Smith TJ, et al. Effect of Lactobacillus rhamnosus LGG® and Bifidobacterium animalis ssp. lactis BB-12® on health-related quality of life in college students affected by upper respiratory infections. Br J Nutr. 2013 Jun;109(11):1999-2007. Little P, et al. Effectiveness of steam inhalation and nasal irrigation for chronic or recurrent sinus symptoms in primary care: a pragmatic randomized controlled trial. CMAJ. 2016 Sep 20; 188(13): 940–949. Rennard BO, et al. Chicken soup inhibits neutrophil chemotaxis in vitro. Chest. 2000 Oct;118(4):1150-7. This entry was posted in General Health and tagged best cold medicine, best OTC for colds, boost immunity against cold, do probiotics work on colds, does chicken soup really cure the cold, how long does a cold last, how to cure a cold faster, how to prevent a cold, should I let my cold run it’s course, what to do for a cold on November 23, 2018 by wellness.